Theth is a small village in the north of Albania. The community is situated right in the middle of a national park, an area known for its lush and mountainous natural beauty. While you are there, start your day walking toward the Church of Theth. The church, dating from 1892, is an Albanian landmark. Situated against the backdrop of the Albanian Alps, it is one of the most visited sites in the area. Theth has a predominantly catholic population, evident in the architecture and culture. In fact, many of Albania’s most famous writers were priests from Theth. Their work has contributed immensely to the education of the local population. About an hour away from the church is the Waterfall of Grunas. The 30 meter high waterfall is one of the most beautiful natural monuments in Theth. After this refreshing visit, walk down to Grunas Canyon on your way to the Blue Eye. This beautiful canyon is about 60 meters deep and 2 kilometers long. Continue walking along the canyon towards the Blue Eye. The Blue Eye is a pool of deep blue water was formed by the Black river flowing down the mountains. Keep in mind that even during the summer the water temperature is really cold if you intend to swim there. 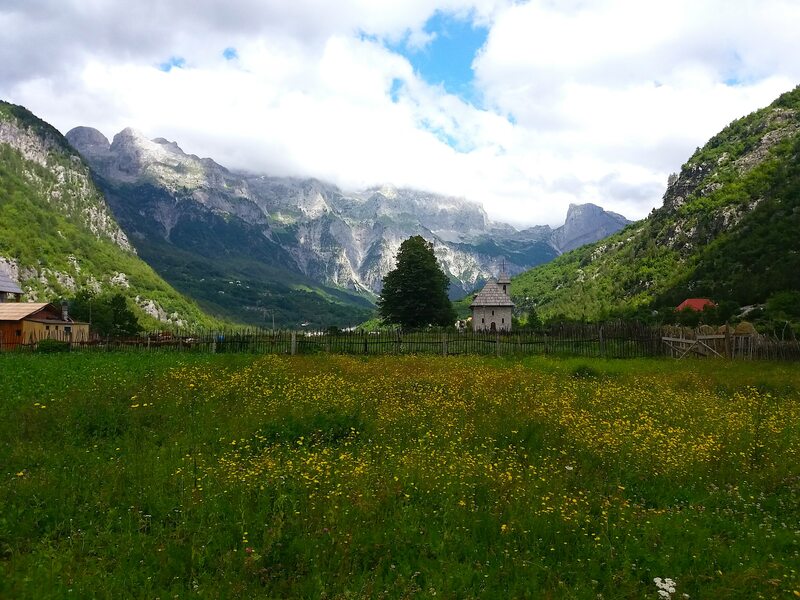 Either stop here for a relaxing yet invigorating adventure or, if you’re a hiker, continue another 2-3 hours to the Valbona Pass. The peak of Valbona Pass is at an altitude of 1815 meters. 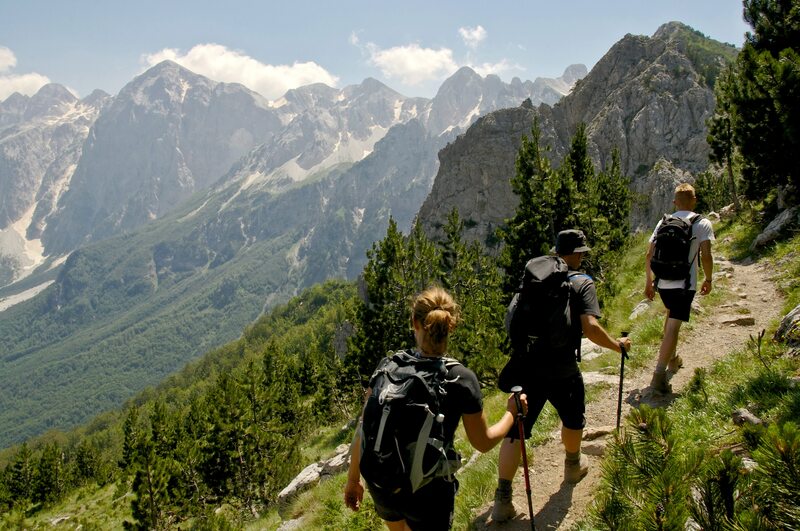 From here, the panorama unveils the breathtaking valleys of both Valbona and Theth.